Protective clear coatings also called liquid laminates are an inexpensive way to protect and enhance digitally printed signs,banners,truck curtains,inflatables and other printed products.Liquid laminates are cost effective,easy to apply and do not require expensive equipment. 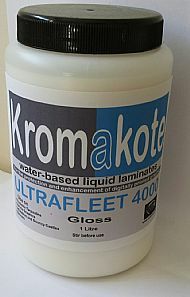 Our range of Kromakote liquid laminates feature the most current innovations in coating technology and have been developed and manufactured to our specification by world leading coating manufacturers.Kromakote liquid laminates provides excellent UV resistance as well as abrasion,scratch,water,dirt and chemical resistance while still maintaining a high degree of flexibility. 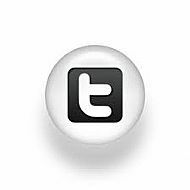 Our coatings are ready to use and can be manually applied with a roller, pad applicator or automated liquid laminators. 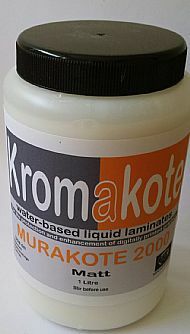 With more than a decade of experience supplying liquid laminating solutions,we are uniquely positioned to consult and advise our customers on the best products to meet specific end use applications.As part of our service our laboratory can test your combination of ink,substrate and coatings for a wide range of properties.Just email us at info@ochreuk.com or call +44(0)1752934393. Lower material costs: Liquid laminates are less expensive than laminating films,depending on material and application. Lower process costs: Liquid laminating eliminates the need for time and costs of post-print cutting and wastage. Custom-designed: Products specifically designed for each application. Consistent quality: Machine application for industrial and reproducible quality on rigid and flexible substrate. Full range of surface sheens available including custom blends. No restrictions on size as you can coat any width or length you want. Liquid laminates can be applied before or after mounting of printed graphics to for example walls or vehicles. 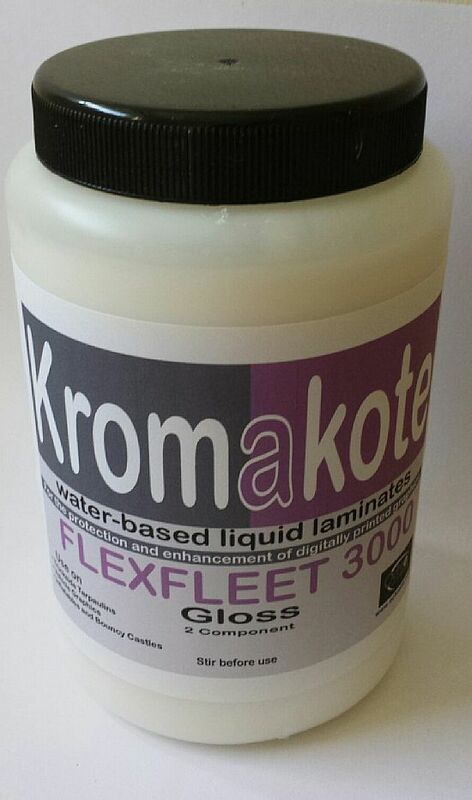 Kromakote Ultrafleet is our premium high performance liquid laminate. This high solids single component,fleet grade coating is suitable where a high degree of resistance to abrasion, chemicals and moisture is required. 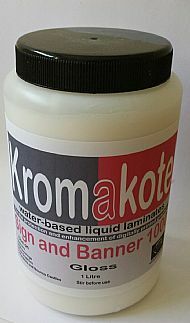 Sign&Banner 1000 and 2000 are quick drying,economical coatings suitable for the protection and enhancement of digitally printed graphics including banners,exhibition graphics,wallcoverings billboards and window graphics.